Andre is the reason I smile. 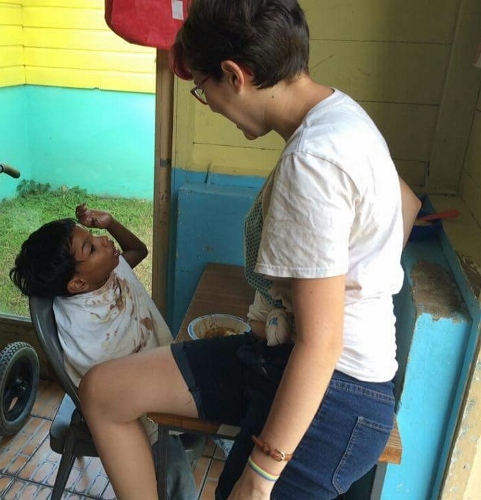 "What made me smile was watching Andre from Sophie's House go from a shy new kid to a powerful young person who always says good morning, tries to drop kick his soccer balls, feeds himself (and manages to get milk all over me when he does), counts to 10, and spells his name. What made me happy was watching him grow so much in so little time and find happiness and a family in Mustard Seed Communities."